It’s a new year, so it’s a new opportunity for you to expand your horizons and broaden your knowledge…and this time we’re focusing on in the kitchen! Here’s some recipes that you just have to try this year, whether it be for a quick dinner, Friday night in or a dinner party with friends. These are sure to impress others, if not yourself! We’re all aware of one of the most-ordered dishes from a Chinese take-away restaurant. But nothing can beat a homemade version of this popular classic, with less of the gloopy, luminous orange sauce and more authentic flavours and textures. Served with some fluffy boiled rice, this is sure to impress your friends looking for something delicious to satisfy a craving. Cut up your pork tenderloin into thin strips and put into a mixing bowl. Add to the bowl of pork the soy sauce, Chinese rice wine, white pepper and ginger. Mix all together and cover. Place in the fridge to marinade for around 20 minutes. Make your batter by mixing together the 2 eggs and 85g cornflour until completely smooth. Take out your bowl of pork from the fridge and pour in the batter mixture, ensuring all the pork is covered. Heat up a pan of very hot cooking oil, ensuring that there is enough for the pork to be able to float in it. 6. Once the oil is extremely hot, add the pork strips a few at a time (to avoid them getting stuck to each other and going gloopy) until brown and golden. Then remove them and put them on a cooling rack or kitchen roll. 7. To create your sauce, heat up some cooking oil in a pan and add the minced garlic, ketchup (or black vinegar), 3 tbsp sugar, 1 tsp white pepper, 2 tsp salt, 1 tsp sesame oil, and some cornflour mixed with water (around 1 tbsp) to thicken at the end. 8. Add your pork to the sauce and serve with sliced spring onions, sesame seeds and boiled white rice. Take a look at the Tasty video behind this recipe here. 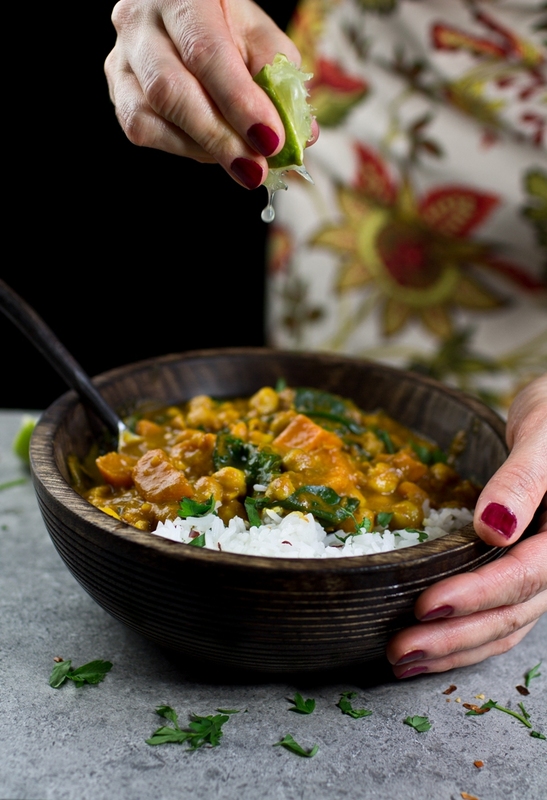 If you’re vegan, vegetarian or looking to reduce your meat intake, without compromising on flavour, this delicious, warming and filling curry is perfect and it couldn’t be simpler to make. Heat coconut oil in a large saucepan over a medium heat. Once the oil is hot, add the cumin seeds. Once the flavour is released, immediately add the diced onion and cook until softened. Add the garlic, ginger, turmeric, coriander and dried chilli flakes. Sauté for a few minutes. Add the chopped sweet potato, chickpeas, chopped tomatoes and coconut milk. Stir and then sImmer over a medium heat for 20-30 minutes. Check the potato chunks are soft and then add the spinach and season with salt and pepper, stir. Serve with boiled rice. Nothing beats a hearty, Italian-inspired dish. This sausage ragu is so simple and quick to make, it can easily be knocked-up as a mid-week feast, served with pillowy-soft gnocchi. Finely chop the carrot, onion and celery and add to a large pan of oil. Saute the vegetables slowly over a low heat until all softened. Then add the garlic and once softened, slightly turn up the heat and add in the sausage meat, chopped up and stir until browned. Add the glass of red wine, passata along with the bay leaf, rosemary and salt and pepper. Fill the empty can or carton of passata with water and add to the sauce. Simmer for around 1 hour, stirring regularly to ensure nothing sticks. When the sauce is ready, boil the gnocchi in water according to instructions. Add the gnocchi to the ragu and serve. A delicious treat for a Saturday night meal, this creamy chicken dish with sun-kissed tomatoes and parmesan transports us straight to Tuscany in the sunshine. The perfect recipe if you’re suffering the winter blues. Add the garlic and fry gently until softened. Add the cream, chicken stock, Italian seasoning, black pepper and parmesan. Whist over the heat until the sauce thickens. Add the spinach and sun-dried tomatoes and simmer until the spinach wilts. Add the chicken back to the pan and coat. Serve on its own or with tagliatelle. Vegan food does'n’t need to be all salads, greens and beans! These mini vegan pizzas are delicious and so easy to make, and can be made in just 15 minutes, perfect! Mix the flour, salt and yeast in a bowl. Pour in the olive oil and water. Stir all together with a wooden spoon and then bring the mixture together with your hands. When the mixture has stuck together in a ball, put onto a floured-surface. Kneed the mixture and stretch out and push back again. Do this for around 10-15 minutes until the dough is elastic and smooth. When smooth, put in a large mixing bowl and coat in a thin layer of olive oil. Cover with cling film and leave ideally overnight or for at least 8 hours in the fridge. When ready, punch the dough and put into 20 portions. Turn on your oven to as hot as it goes. Flour a surface and stretch out the pizza portions to as thin as possible. Add your toppings and bake for around 8-10 minutes until crispy. Any other vegetable toppings you’d like! Try mushrooms, olives, tomatoes, rocket, courgette, red onion. 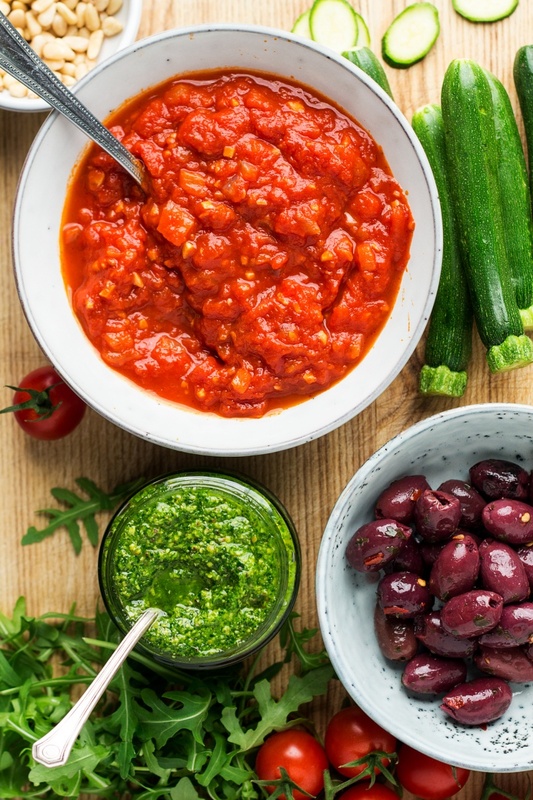 You could also try veggie pesto. We'd love to see if you make any of these recipes! If you upload any pics to Instagram or Pinterest, make sure you tag us!